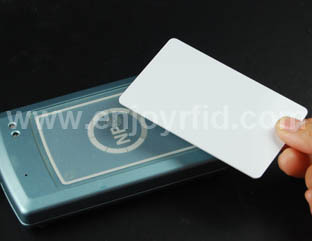 In the past few days NFC CARD have come from the world of RFID two news items of particular importance, probably intended to significantly extend the use and dissemination of the now famous chippetti radio. The first announcement is Philips, which in its research laboratories have developed an RFID tag that operates at 13.56 MHz based entirely on a special plastic polymer. In contrast to the silicon chip, which consist of three phases of production - molding antenna, chip production, assembly of components - the technology developed by the Dutch company lets you print directly into the substrate of the chip to the antenna together, unifying the production process in one stage. This technology, once refined, should pave the way for the production of low-cost tags can replace the old barcodes. The presentation of the technology took place at the International Solid State Circuits Conference (ISSCC) in San Francisco, where Philips has presented the results of the research also bringing a "code generator" 64-bit able to program the chip with the code necessary to create unique tags.